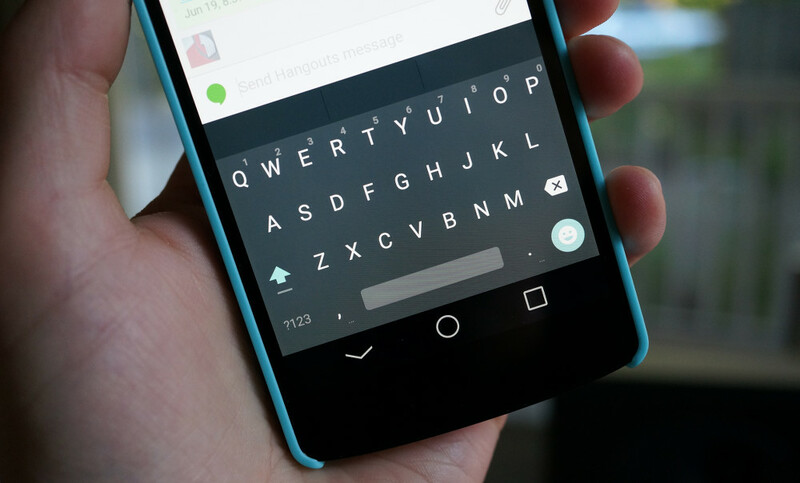 Best Android Keyboard app is not much hard to find. You need to note down your preferences and look into a comparison of keyboard apps available for Android platform. Android revolutionized the Smartphone market, one of the biggest things it changed is the way we type on our phone. Previously, phones used to come with physical keyboards that were not much tactile. People who were too much into texting used to buy Blackberry devices for the full fledge QWERTY keypads. But Android presented users with a touch based keyboard that can be customized as per user requirements. Apps like Swype changed things further by enhancing the user interface and introducing typing though swiping though letters and it will automatically detect the word. Besides that, many small changes in UI have changed the keyboard experience, like multiple languages, keyboard recognizes and remembers frequently used words by you. We are here with a review of Best Keyboard apps available for Android phones and Tablets. We tried more than a dozen of keyboard applications and selected the best to feature on this list. SwiftKey lies at the top when it comes to Android soft keyboards because of its unbeatable precision control, customs, accuracy and supercharged feature. So, here we have the pros and cons of this amazing app which helps you decide why it is so popular in contrast to others. It usually consumes more data per week or data due to its regular bug fixing issues. Most of the amazing themes are in-app purchases, so users take a low interest in customizing themes. Most of the time it automatically saves unwanted words in its dictionary. Unlike others, its swipe recognition requires more precision and hence difficult to recognize words often. Due to the use of multiple languages, it can choose any one keyboard at a time, so it makes more hectic for the user to type. This makes it extremely inbound for resource management as it lags often due to high load on processor. Numeral Keyboard is attached with alphabets. But users can additionally display number pad according to its need. Fast and easy access to emojis on search basis. It consists of Google Voice Dictation feature with great precision. It shows amazing details about your keystrokes saved, corrections done and many more. 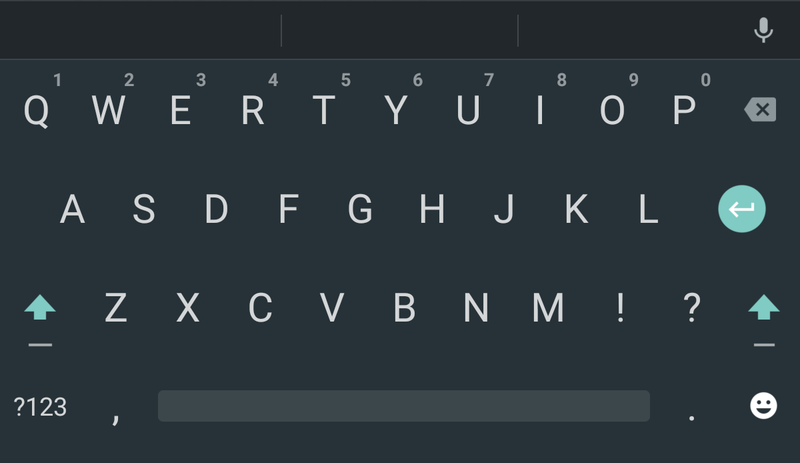 It has a heat map feature which indicates how SwiftKey has corrected the mistakes. Google Keyboard is a smart and intelligent keyboard that makes it type faster than we usually think due to its high personalized keyword gestures. It has dynamic floating view technique which shows precision to a great extent. Here are some of its most amazing features which make you captivate install this app. It cannot predict as smartly as done by SwiftKey. It only provides basic settings like vibrate on key press and much more. You cannot float or shrink the keyboard according to your need, which is really required for better customization. It is not friendly for users around the world. It really needs to extend the language customs. Its design is slightly dissimilar as compared to the real keyword. Users may face difficulty in various situations. You can switch to another language by simply swiping on the space bar or tapping the globe icon. It has offered a great relief for the bilinguals. Tap the key in the lower left corner to simply switch to punctuation keyboard. It creates an active floating preview of the character selected while using gestures. It is well designed as help in focusing eye properly while typing. You can choose from any layout like English PC Layout, Dvorak and much more according to your need. It provides a feature called personal dictionary in which we can add words for multiple uses while typing. 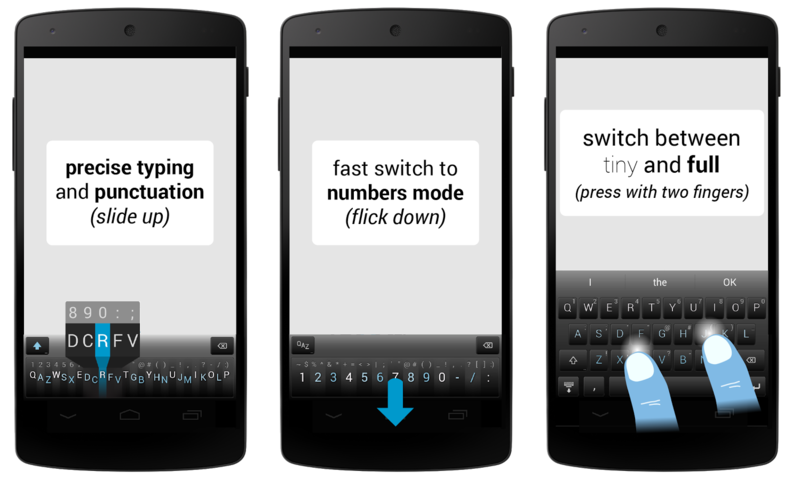 Type Fast, Swype Faster! The keyword that has really brought a big revolution with its continuous motion system. It can write 40 words per minute. It supports the largest collection of languages and dialects including 15 Indian languages which make it really popular around the world. It features cloud sync dictionary which is really helpful if you use Swype on multiple platforms. Below are some pros and cons which are really important to know before using this app. It carries horrible privacy problems as it uses our licensing and speech data as a set for further processing by the third party developers which are really insane. It also uses GPS locations for unknown reasons with high data usage. Due to its update issues, it abnormally lags and has memory usage issues. Due to its slow pacing of an update, if there occurs a bug in the software, it usually takes time for the app developers to fix its issues. It provides a feature called Dragon Voice for dictation purpose, though it is completely different from Google Voice Recognition Software. It provides swyping and tapping technique depending upon our needs. 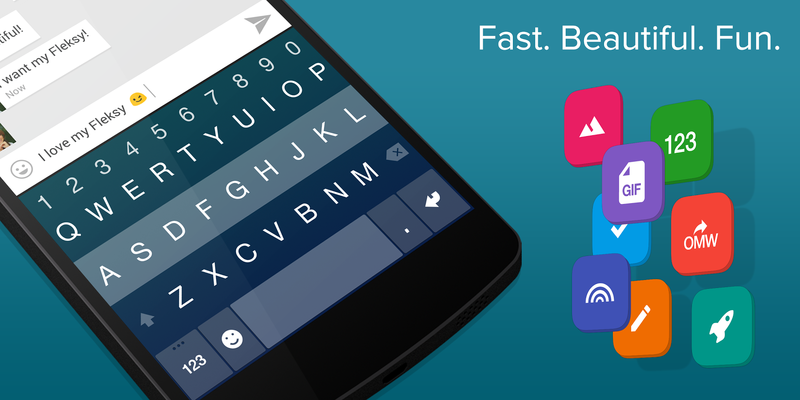 Fleksy is the fastest, most accurate and highly customized keyboard. Along with this, we have features like mini display mode which ultimately reduces the keyboard size accordingly. It follows error correcting algorithms to identify the intended word. Due its fastest writing speed, it is widely used in smart watches. But the most astounding feature is that it is based on alternate Blind Type keyboard. Due to its accuracy and gesture control feature, it helps to focus on the text we are actually writing. Here we have some of the most astonishing pros and cons for you which really impress you to download this app. The trial is only for one month. For further use, the user needs to pay in-app purchases from Google Play Store. There is no scope for prediction of next word, so you have to type each and every word. It doesn’t feature Swype technique of typing. Still it is in the development stage, so it has to add more language inputs to make it more user-friendly. It provides altogether 800 different emojis that you can use eventually to express emotions while typing. It provides custom themes in light and dark themes of keyboard skins. It features mini sized display as the last row of keys consisting of the spacebar is hidden. You can enable this feature by swiping down with two fingers. It improves with user’s usage by predicting from social networks, messages, emails and adjusts its writing style accordingly for saving more time. one of the most fascinating features of this keyboard as we can create gestures to input spaces, commas and even do corrections while typing. We can type even without looking at the screen. Features like gesture control and accurate predictions help to focus on typing. The Minuum keyboard is smarter, reliable and works faster. It is mostly designed to be used in small screen devices in which we can easily type using this keyboard. It ultimately minimizes the keyboard to a single row which is really innovative for future gadgets. Its smaller size makes it popular and ranked it in 5th position among those other fascinating soft keyboards. For your convenience, below are some of its pros and cons which are really fascinating. It really takes a jerk to learn to type in minimized mode. You may use the optional complete keyboard when you require more precision for typing or it may not recognize the word. It is simpler for movement and editing purposes. It supports 13 different languages. With its minimal size, it is convenient to use this in smart watches as well as ideal for typing purposes. It supports customized theme designs to make it more reliable according to the environment. We would love to hear from you, which keyboard app you are using on your Android phone and why you like or dislike the app. If you want any other keyboard to be added to this list then let us know . Stay tuned with us, we will be bringing in updates about new apps and devices.